How to Recover Data from Lost NTFS Partition? Recover your lost NTFS partition data using this professional NTFS Partition Recovery tool. It recovers lost NTFS partition after formatting, reformatting, corruption, and deletion of the partition. Evaluate the recovery results by free downloading the software. Try now!!! There are hundreds of files that exist on a computer at a given instance. The number of files on the hard drive will differ from one user to another, depending on the quantity of data that the particular user stores on hard drive. If proper management of these files is not done, these files will be of no use and will make no sense to the user. To have proper management of the files on the hard drive, the PC makes use of a file system. The file system in a PC makes sure that the available space on the hard drive is utilized in an efficient manner. There are two file systems that are used widely nowadays, and these two are FAT and NTFS file systems. While the usage of FAT file system has got restricted to USB drives, NTFS file system is still widely in use in most of the new age PC's. Though NTFS file system is capable of handling data loss scenarios in a better manner than FAT file system, there is no method available to avoid data loss completely. There are various reasons like a power surge, malware, virus attacks etc, which can lead to data loss on an NTFS partition or loss of NTFS partition. However, you need not to be panic. 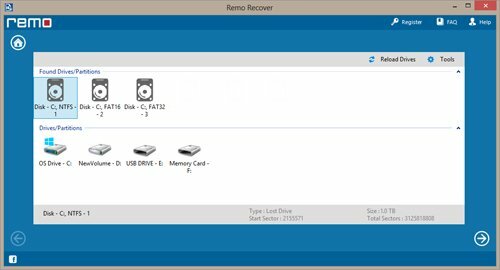 You can recover deleted partition and as well retrieve missing partition on the hard drive by making use of partition recovery software. Loss or deletion of an NTFS partition might result in permanent erasure of all the data present on the partition. 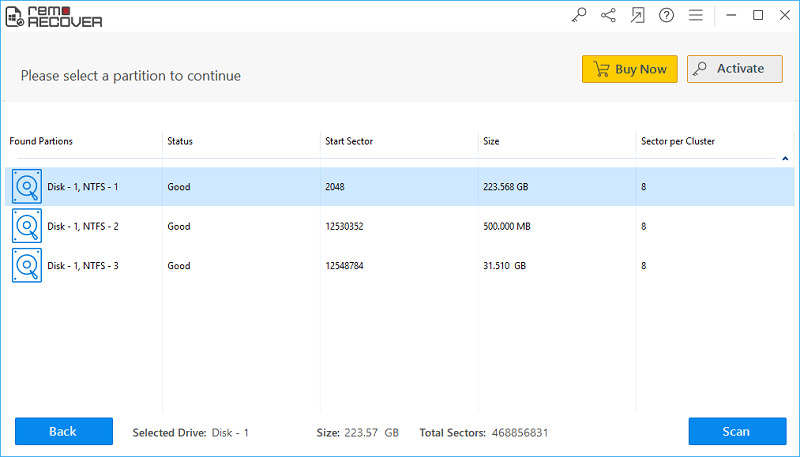 As soon as you realize that the NTFS partition has got deleted or lost, you can disconnect the hard drive from your PC, connect it to another healthy PC, and take a copy of all the data on your hard drive onto that PC. If this method fails, it is always better to use a Windows data recovery software to recover your data. Recover partition software is a professional partition recovery utility that can recover deleted partition from IDE/AT, SATA, SCSI and USB Flash drives with ease. Step 1: Install and launch the software, either by selecting the icon from the Programs list in the Start Menu, or by double-clicking the desktop shortcut. The Main screen is displayed, as shown in Figure a. There are three options provided in the main screen. 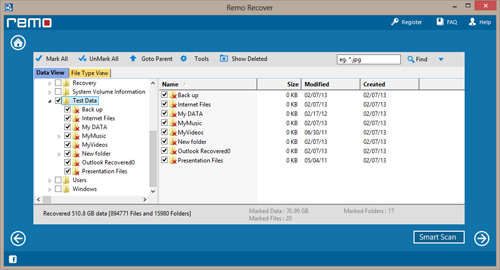 Select the "Recover Drives" option as shown in Figure a. 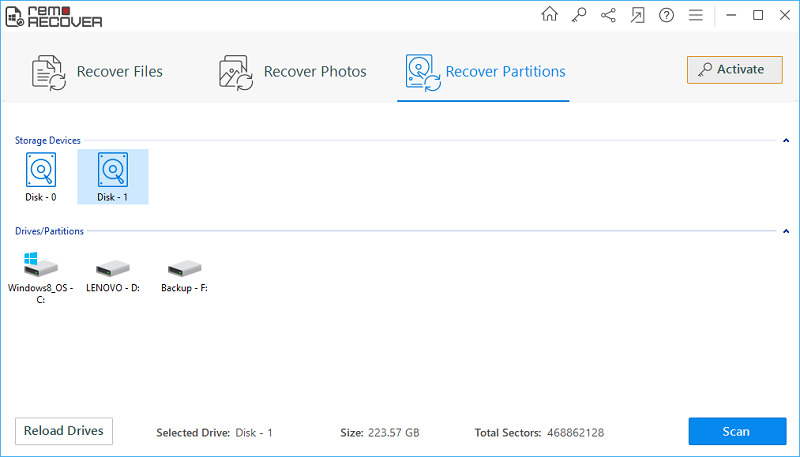 Step 2: From the new window that opens, select the "Partition Recovery" option to recover lost partition as shown in Figure b. Note: You can alternatively choose the "Formatted / Reformatted Recovery" option to recover data from partitions that are either formatted or reformatted. Step 4: Once you click the "Next" button, the software scans the selected physical drive and displays all the found partitions/drives, as shown in Figure d. Select the NTFS partition from which you want to recover data and click on "Next"
Step 6: The software starts scanning the partition / drive which has been chosen by you, once you click the "Next" button. After the scanning process is completed, the software displays the found files and folders. You can make use of the Data View / File Type View option to view the recovered data as shown in Figure f.
Step 7: Save the scan information using the "Save Recovery Session" option in the Demo Version. 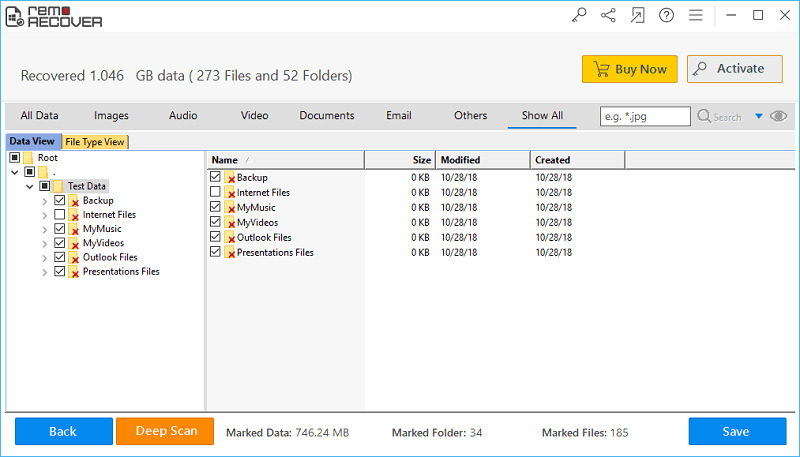 You can later use the "Open Recovery Session" option to load the scan info file after activating the full version of the software and save the recovered data.